Thomas Dill (1708-1761) is #140 on my Ahnentafel list, my 5th great-grandfather who married #141 Mehitable Brown (1714-1758) in 1733. * their son #70 Thomas Dill (1755-1836), who married #71 Hannah Horton (1761-1797) in 1782. "Thomas Dill Son of Thomas Dill and Mary his wife borne the nintenth of December 1708"
His mother died in about 1715, and his father married, secondly, Mary Cheney of Cambridge, Massachusetts. His father, Thomas Dill, died in 1717 and Thomas likely lived with his stepmother until he came of age. Mary (Cheney) Dill married James Tufts in 1729 when Thomas was 21 years old. He may have resided in Charlestown for some period before and after 1729. "July 17: 1733 then Thomas Dill & Mehitable Brown were married by Mr Isaiah Lues." The case for Thomas Dill of Eastham being the Thomas Dill from Medford is circumstantial but conclusive. The marriage of Thomas Dill to Mehitable Brown appears in the Eastham records. However, their first three children were recorded in Medford, and the next two were recorded in Eastham. In addition, Thomas Dill bought land in Medford in 1733, and sold it in 1746. Thomas and Mehitable (Brown) Dill had five children recorded, and probably at least eight children. Several died in infancy or childhood. There birth are records in Medford for sons Thomas, Samuel and Thomas (again), and birth records in Eastham for sons Aaron and James, but there are no records in either place for Moses, Betty and Thomas (again). 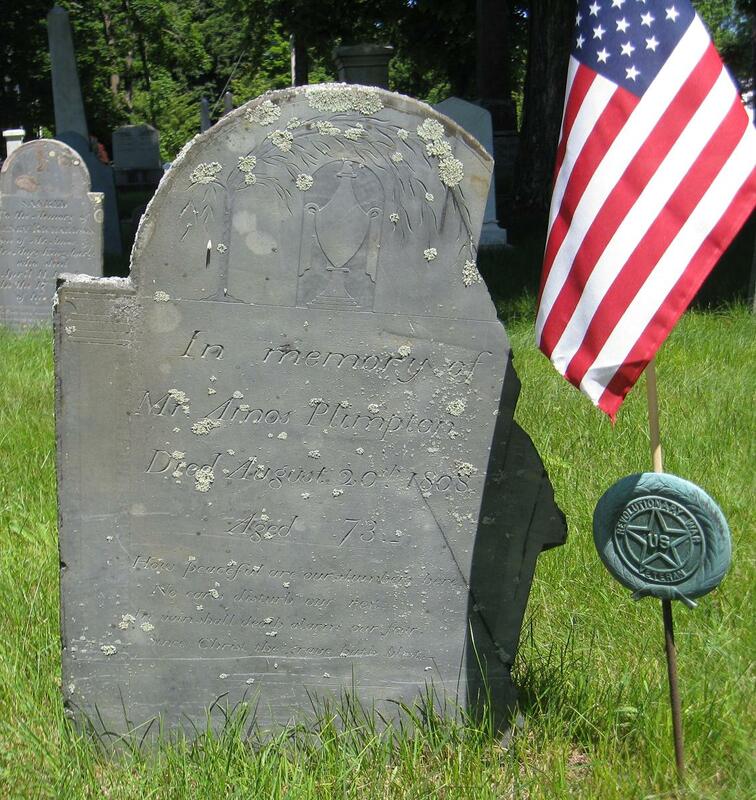 Mehitable (Brown) Dill died in Eastham before 1758 when Thomas Dill married Mrs. Mary Higgins. When Thomas died in 1761, guardians were assigned for Moses, Betty and Thomas, so they were all under age 18 at that time, and were likely younger. Sons Samuel, James and Thomas married and resided in Eastham, Massachusetts. On 30 January 1733, Stephen Hall of Medford, joiner, sold land in Medford to Thomas Dill, brickmaker of Charlestown, for 180 pounds money. The land was the Easterly end of a house, the Easterly part of the tract of land, and one half of the pump and one half of the barn. The whole lot of land measured 40 feet by 100 feet and was bounded southerly on the country road leading to Malden, westerly by land of Joseph Tomson and Jonathan Tomson, northerly by the houselots privilege, and easterly by Benjamin Webber and Jonathan Weber. The deed was recorded 4 April 1751. On 9 May 1746, Thomas Dill formerly of Charlestown but now of Eastham, brickmaker, sold land in Medford to John Giles, cordwainer of Salem, for 280 pounds tenor. The land was the eastern moiety of a house, the easterly half the tract of land, and half of the pump. The whole lot of land measured 40 feet by 100 feet, was bounded southerly by the country road leading to Malden, westerly by land of Joseph Thompson and Jonathan Thompson, easterly on land of Benjamin Webber and Jonathan Webber. The deed was recorded 4 April 1751. Thomas Dill married, secondly, Mary (Baker) Higgins in Eastham, Massachusetts after 28 January 1758, when their marriage intentions were recorded in the Eastham town records. Mary (Baker) Higgins was born in about 1703, so she probably was too old to birth one or all of the three later children of Thomas Dill. For these reasons, the mother of all the children listed are assumed to be the children of Mehitable Brown. Thomas Dill of Eastham died before 17 March 1761, when a letter of administration for his estate was filed in the Barnstable County Probate Court. There is no known gravestone or burial location for Thomas Dill. Unfortunately, the land records of Barnstable County were destroyed in about 1827, so there is no record of when Thomas Dill bought or sold land in Eastham in Barnstable County. A letter of administration for the estate of Thomas Dill, yeoman, late of Eastham, was filed 17 March 1761 in Barnstable, with George Brown of Eastham as administrator. * The inventory and account were filed 17 April 1764 and showed an estate of 120 pounds 7 shillings 9 pence, including one-third of a schooner. * The probate court awarded the widow relict Mary Dill her one-third dower and appraised the remaining two thirds of the real estate at 20 pounds 9 shillings 4 pence. * James Dill, the oldest son living at the time was awarded the real estate, but was ordered to pay Benjamin Dill, the only son of Samuel Dill deceased (the eldest son of Thomas Dill), 9 pounds 3 pence, and to pay Moses Dill, a minor son of Thomas Dill deceased, 4 pounds 10 shillings 1-1/2 pence, to pay Thomas Dill, a minor son of Thomas Dill, 4 pounds 10 shillings 1-1/2 pence, and to pay Betty Dill, daughter of Thomas Dill, 4 pounds 10 shillings 1-1/2 pence. * Guardians were appointed for the three minor children: Ebenezer Atwood of Eastham was appointed guardian of Moses Dill. Samuell Doane of Eastham was appointed guardian of Betty Dill. Mary Dill of Eastham was appointed guardian of Thomas Dill. 1. Massachusetts, Town and Vital Records, 1620-1988, digital images, Ancestry.com (http://www.ancestry.com), Medford Town Records, 1657-1718, Volume 1, no page number, Thomas Dill birth entry, image 141 of 150. 2. Henry Ernest Woods, (Editor), Vital Records of Medford, Massachusetts, to the Year 1850 (Boston, Mass. : New England Historic Genealogical Society, 1907), Births, page 49, Thomas Dill entry. 3. "Massachusetts, Town Clerk, Vital and Town Records, 1627-2001," digital images, FamilySearch (http://familysearch.org :, Barnstable > Eastham-Orleans > Births, Marriages, Deaths, 1701-1796 > image 64 of 126, page 109, Thomas Dill and Mehitable Brown marriage entry . 4. The Mayflower Descendant (Boston, Mass. : General Society of Mayflower Descendants), Volume 17, Page 82, Marriage of Thomas Dill and Mehitable Brown. 5. "Massachusetts, Land Records, 1620-1986," digital images, Church of Jesus Christ of Latter-Day Saints, FamilySearch (https://familysearch.org :, accessed 19 March 2016), Middlesex County, Volume 49, Page 255, Stephen Hall to Thomas Dill, 30 January 1733, Recorded 4 April 1751. 6. Col. Leonard H. Smith, Jr. and Norma H. Smith, Vital Records of the Towns of Eastham and Orleans (Baltimore, Md. : Genealogical Publishing Company, 1993), page 129, Thomas Dill and Mrs. Mary Higgins marriage intentions entry. 7. "Massachusetts (Barnstable County), Probate records, 1686-1894," handwritten, Family History Library, Salt Lake City, Utah (51 rolls of FHL US/CAN Microfilm), citing original Barnstable County Registers, Thomas Dill probate records: Letter of Administration (10.81); Inventory and Account (13:24); Widow's Dower (12:278); Real Estate Appraisal (13.167); Distribution (13:168); Guardianship of Children (11:196, 11:197, 11.207). 8. "Massachusetts, Land Records, 1620-1986," digital images, FamilySearch, accessed 19 March 2016), Middlesex County, Volume 50, Pages 55-56 , Thomas Dill to John Giles, 9 May 1746, Recorded 4 April 1751. 9. Col. Leonard H. Smith, Jr. and Norma H. Smith, Vital Records of the Towns of Eastham and Orleans, page 145, Thomas Dill and Mehitable Brown marriage intentions entry.